Kingzone will face SKT in the playoff semifinals. Kim “Deft” Hyuk-kyu and the rest of Kingzone DragonX are moving on to the next round of the LCK playoffs. Despite desperately trying to find their way back into game three for a chance at a reverse sweep, DAMWON Gaming continued to play aggressive, looking for picks whenever a potential opportunity arose. Sadly for DAMWON, though, Kingzone DragonX were prepared for such a brazen strategy. They countered all of DAMWON’s engages to close out a three-game blowout in the 2019 LCK Spring Split playoff quarterfinals. “In game one we had a big lead but I solo died once, so except that I’m overall satisfied,” Kingzone AD carry Deft said in the post-game interview, reflecting on today’s quick match. The game one MVP, alongside support Park “TusiN” Jong-ik, set the pace of today’s match with a a solo kill onto DAMWON’s bot lane—and this kill was just the first of many for Kingzone. 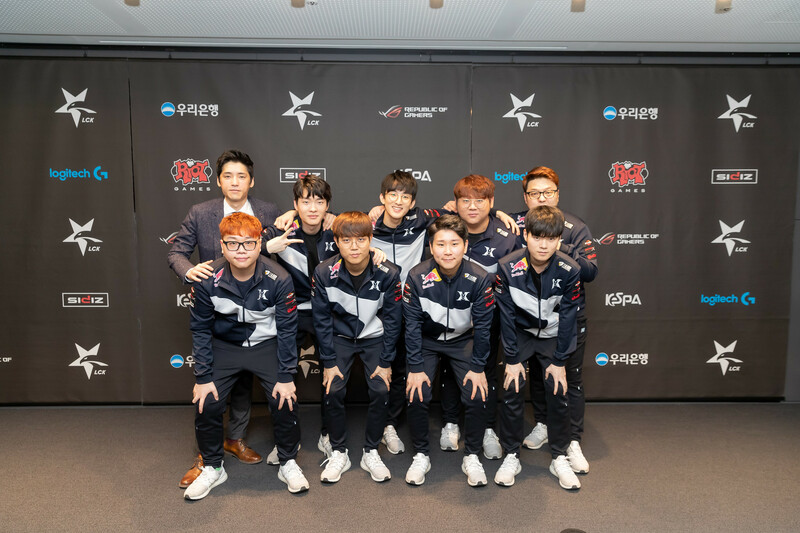 Although many of Kingzone’s advantages accrued over today’s three game wins came from their great teamfighting and rotations, the LCK third seed flexed their drafting muscles with a variety of creative picks, including the Morgana and Pyke bot lane duo in game two. “Well actually Deft said we’re looking for champions to use and Pyke was a bit viable, and we still have some more [picks],” TusiN said while reflecting on his Pyke. Alongside Deft’s Morgana in what he called “one of the counterpicks” to DAMWON’s Ashe, TusiN piloted the bloodthirsty support with ease, finding a myriad of champion executes with his Death From Below ultimate, in addition to stealing an Elemental Drake. In the mid lane, Kingzone’s Heo “PawN” Won-seok got to show his champion pool depth, playing three different picks including his beloved LeBlanc. “LeBlanc is my favorite champion and I’m very confident with it, but she depends on the situation,” PawN said explaining his preference for the mid lane assassin. Kingzone will face off against SKT on April 7.